This book is a collection of the best of White Dwarf Warhammer 40,000 articles. It provides you with a complete update on the forces and technologies of the Warhammer Universe. 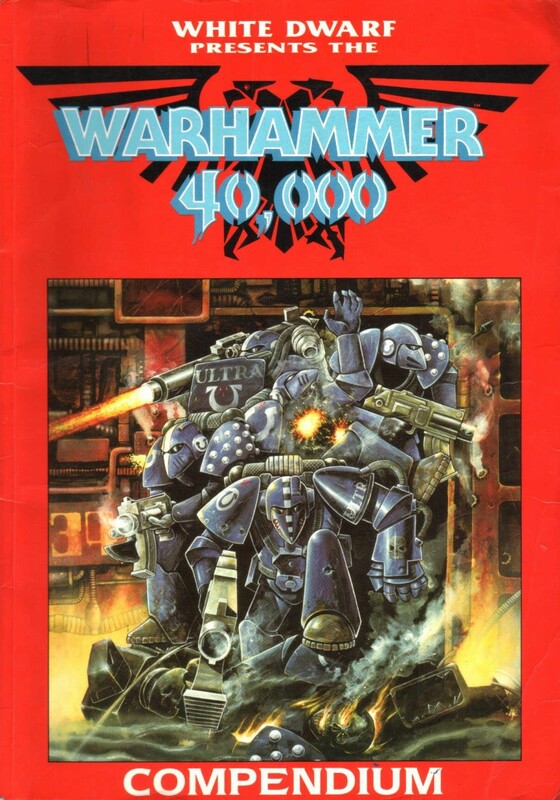 The Warhammer 40,000 Compendium contains the complete army lists for: Space Marines, Imperial Guard, Squats, and Harlequins together with their histories and backgrounds. In addition, it includes the new rules for Dreadnoughts, Robots, and other fighting machines together with all of the revised rules for vehicles.